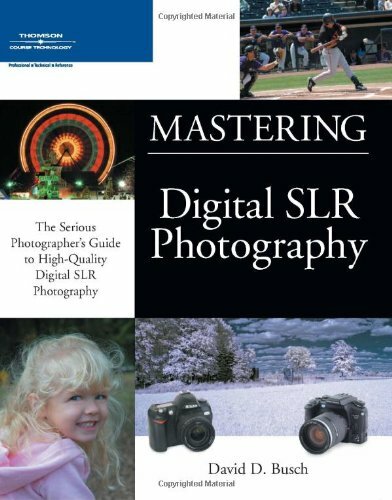 Currently with no other book on digital SLR photography, photo enthusiasts have had to rely on books that concentrate only on aspects of the technology that are peripherally related to picture-taking. This book uniquely concentrates on creative techniques for the digital SLR photographer. Photography with Digital SLR and ?SLR-like? cameras isn't exactly like conventional film SLR photography; nor is it exactly like digital photography with non-SLR cameras. DSLRs have special advantages, special features, and special problems that need to be addressed and embraced. In addition, users of these cameras tend to expect more from their photography and crave the kind of information that will let them wring every ounce of creativity out of their equipment. Anyone who has a Windows PC or Macintosh and a digital SLR camera will find advanced techniques in this book. Readers will cover various aspects of DSLRs including: why DSLRs work best for creative posing for group and individual portraits, using DSLRs to capture close-up scenes on the desktop using the digital camera's special capabilities, how to get great travel photos with a DSLR, and how to archive them when far from a computer.